For years I’ve taken for granted the health of my hair. Considering I colour it, straighten it and blow-dry regularly, it has always been long, strong and never lacking luster. However, recently I noticed a lot of breakage and decided it was time to make a change. The first step was cutting out using strengtheners, but annoyingly I have naturally wavy hair – not a nice wave I might add. I needed a treatment that would keep my hair smooth and straight without going to extreme measures and causing more long-term damage. I considered a Brazilian Blow Dry, but the idea of formaldehyde in my hair wasn’t at all appealing. 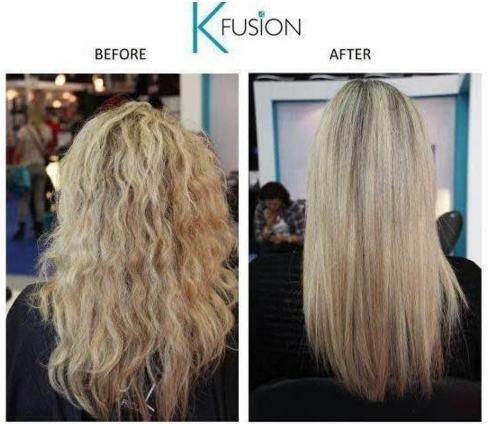 Then I was introduced to K Fusion, available at the Sejour Salon in Chelsea. Lorraine Rose, Technical & Creative Director of D&L Hair, founded K Fusion by L’Kerabelle, a revolutionary anti-frizz treatment that works by softening and bending the disulphide bonds in the hair, therefore repelling moisture and sealing in cuticles. This helps prevent any frizz from returning and leaves the hair smooth, soft and much more manageable. K Fusion is 100 per cent formaldehyde free and suitable for all hair types, even coloured hair, and it is safe for pregnant and breastfeeding women, too. It is packed full of protein, hydrolysed keratin and infused with Agdir Argan Oil. Unlike the Brazilian Blow-Dry, once you wash your hair it will return to its natural form, but a gorgeous glossy shine replaces any previous frizz. Sejour is located in the heart of Chelsea on Bray Street. The street is so quiet, you can barely believe you are a mere 30-second walk from the busy, bustling Kings Road. 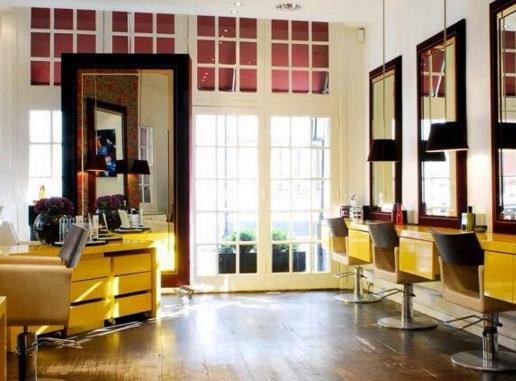 The vibe inside the three floored salon is one of a boutique boudoir; the colours are rich and warming unlike the usual clinical feel so many salons have. On arrival, I am introduced to Judy, the technician who was taking me for my treatment. Instantly, Judy and I get on extremely well, we had a discussion about the overall health of my hair before getting underway. The K Fusion treatment is quite a lengthy process; you’ll need to spare at least three hours, but the results are worth it. Once your hair is washed and rinsed the treatment is applied in very small sections, this stays on for approximately 1 hour. Every 10 minutes it needs to be gently combed through before rinsing, blow-drying and then straightening to seal in the product. Now you have to wear your hair down for the best part of two days, even tucking it behind your ears can affect the shape, so tying it up is off limits. It was relatively easy to refrain from putting my hair up, the only thing I noticed was it felt quite heavy with product and got knotty quickly. 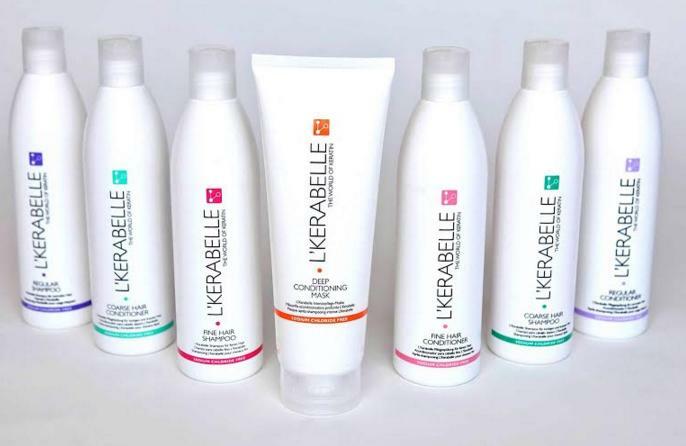 After two days had passed I washed my hair with L’Kerabelle Shampoo and Conditioner, which prolongs and enhances the effect of the K Fusion treatment. Usually, when I dry my hair, I do it in sections to take out as much wave as possible and then run the strengtheners through to lock in the shape. However, I decided to test the treatment and blow-dry in large chunks using only a paddle brush. The results were undeniably good – my hair was poker straight, not a wave in sight. If you suffer with frizz, K Fusion is the answer. Not only will it cut down the time you spend drying and straightening, but your hair will be healthier too. Treatment lasts up to four to six weeks, so you’ll only need K Fusion three times a year max.